WOW time really does fly when you are having fun! We can’t believe 2018 is almost over and that Christmas is just around the corner. Having said that, when are you booking your Christmas getaway? Because before you know it, will be December! 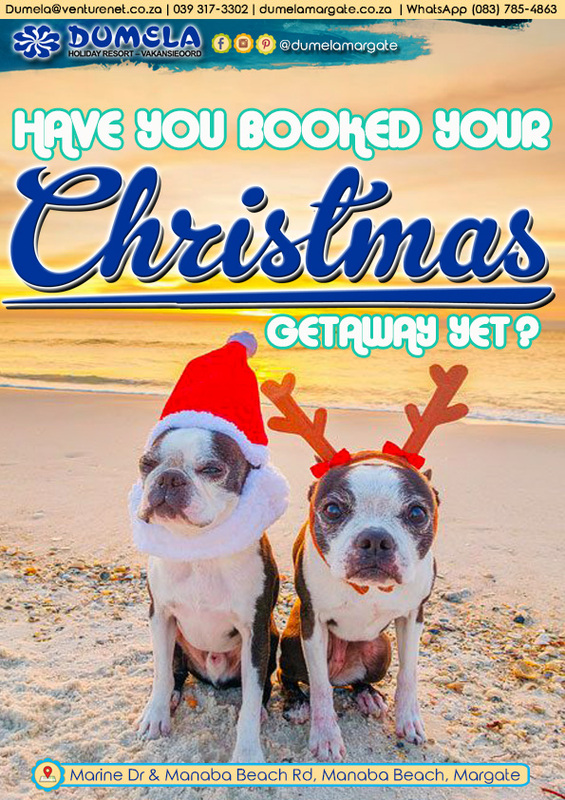 Avoid the last minute rush and book your Christmas getaway today! That way you are one task closer to relaxing on the beach while soaking up the awesome KZN sunshine. Dumela@venturenet.co.za | 039 317-3302 or WhatsApp on (083) 785-4863, valid during office hours only. Hi do you have any availability from 23 Dec till 2nd Jan and what are the rates? Sure, we will have our bookings department get in touch as soonest. Thanks.